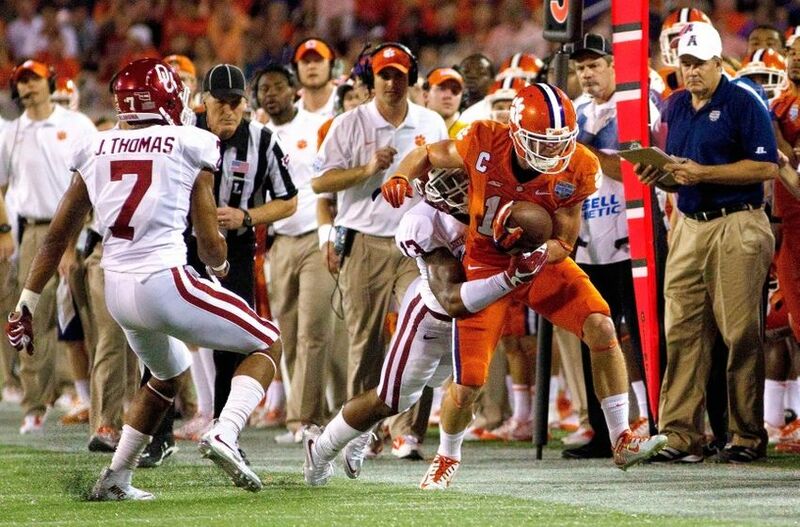 The 2014 college football season was arguably one of the most exciting in recent memory. The lack of one true front-runner throughout the duration of the season helped, however the on-field product in the Power 5 conferences seemed to improve. The TCU Horned Frogs had a record-setting season. First off, they claimed a conference title in their fifth conference in the last 21 years according to the Kansas City Star. Averaging just over 46 points per game, the machine that is Doug Meachum’s offense with Trevone Boykin under center was just incredible, especially in an 82-point performance against Texas Tech. The idea of 10 offensive starters returning gets scarier when the one who replaces the lone graduation, played significant time in that spot and started at points. Over on the defensive side, the Frogs let up less than 19 points per game with their lone flawed performance coming in the 4th quarter down in Waco in the “controversial” game at Baylor, where the Bears scored 24 unanswered to win. The Frogs are easily the favorite to win the conference in 2015 and may be able to crack in to the playoff next year as well. Baylor was explosive this year. 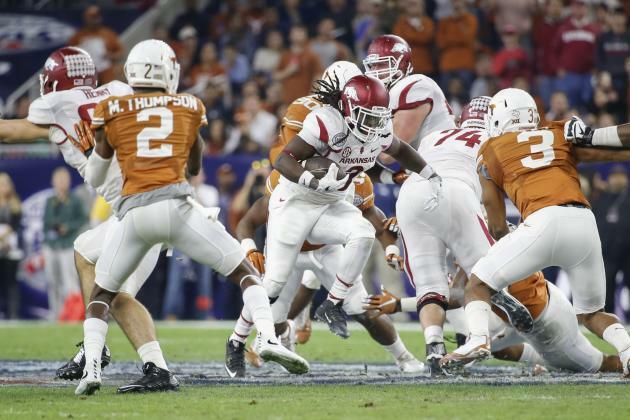 Thirty-six seconds into their Nov. 22 game against Oklahoma State, they were already up 7-0. Two plays, 69 yards. The Bears unfortunately lose a few key starters on both sides of the ball, but lately it seems like Baylor doesn’t rebuild, but rather reload. Offensive Coordinator Phillip Montgomery is out after taking the head coaching job at Tulsa, but Kendall Briles (yes, Art’s son) has taken over the play-calling duties. 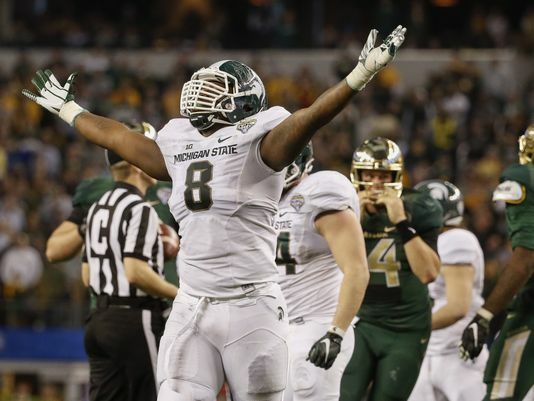 He did so against Michigan State and frankly, it wasn’t bad. With the entire off-season to work with the Baylor offense, Briles and Briles should have Baylor back and clicking again in 2015. It was a typical year for Bill Snyder’s Kansas State Wildcats. Senior QB Jake Waters looked impressive for most of the season, regardless of “draft status.” The Wildcats seem to be consistent regardless of who is under center. The most noticeable difference in the last few years was transitioning from Daniel Sams to Jake Waters last year, causing Sams to transfer prior to this year. The only time that a team was just better than K-State for all 60 minutes was Nov. 8 at TCU. Looking at recent Wildcat teams, I don’t expect much different out of Kansas State next year. Joe Hubener is going to have big shoes to fill in the eyes of Wildcat faithful, but judging off of Snyder’s track record with QB’s, I think he’ll be fine. Not a typical season for the Sooners. First, only one of their four losses came on the road – TCU. Second, I found the play calling from Oklahoma Offensive Coordinator Lincoln Riley interesting. I have said time and time again throughout the season that I think Trevor Knight is a solid Quarterback, and I stand by that. However, if the rumor that Stoops told Heupel to go away from an air raid offense to a zone read, why? Being from the San Antonio area originally, I watched Knight play in high school. Reagan HS ran a very pass-heavy offense and during Knight’s senior season, the Rattlers made a deep playoff run behind Knight’s arm. With a more pass-heavy offensive coordinator now in Norman, I think the Sooners can finish higher next year. 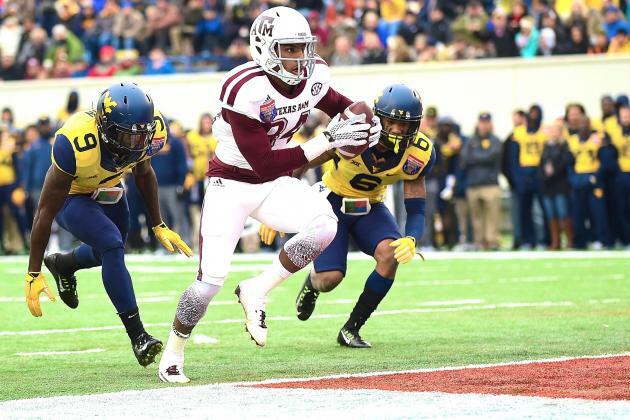 The West Virginia Mountaineers had a very up-and-down season. They started with a strong performance in their loss to Alabama in Atlanta and then avenged a loss from a season ago to Maryland, who in their first year in the Big Ten became bowl eligible. West Virginia lost to Oklahoma after a rough 2nd half in Morgantown. Then, a four-game win streak which included a 14-point upset of No. 4 Baylor, ended after a win in Stillwater to spoil Oklahoma State’s homecoming celebration. Starting with a last-second loss to TCU at home, Dana Holgerson’s team also dropped games at unranked Texas and at home to No. 12 Kansas State. West Virginia could have had a legitimate shot at winning their bowl game, had QB Clint Trickett not been forced to retire due to concussions. With the offseason to work in Skylar Howard into the first team, the Mountaineers have the capability to be deadly next year. In Charlie Strong’s debut season in Austin, the Longhorns at times just looked bad. At other times, they didn’t look bad at all. Needless to say that it was a season full of inconsistencies, which weren’t helped by David Ash’s retirement due to concussions in the middle of the season. 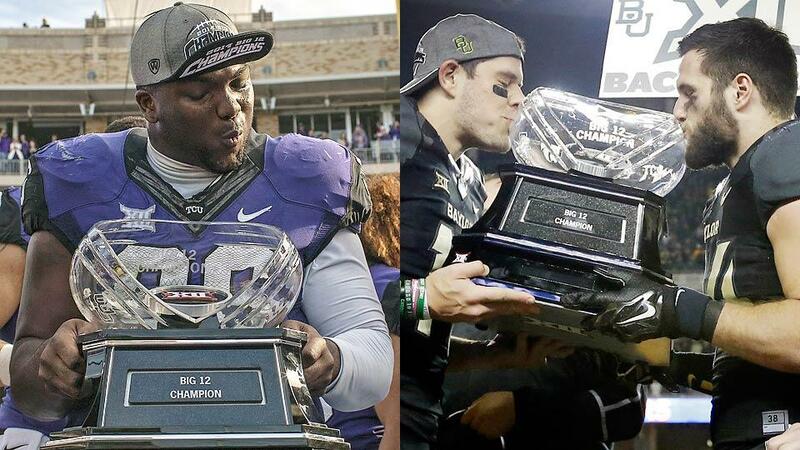 They looked great against Oklahoma State and West Virginia but just bad against TCU and Arkansas. With the honeymoon period over at Texas, I’m curious to see how Texas comes back next year. Texas has a shot for a reason similar to that of Oklahoma, it’s Texas. The Oklahoma State Cowboys had a frustrating season. Starting the season with a very impressive performance against defending national champion and 2014 playoff team, Florida State. The Pokes were able to mostly contain Jameis Winston and the Seminole offense. With JW Walsh’s injury in Week 2 against Missouri State, the OSU offense took a hit. Things looked good with Daxx Garman for a while, as he didn’t throw his first pick until Sept. 25 against Texas Tech. After Garman went down against Texas, it looked like things were glorious in Stillwater with the entrance of Mason Rudolph, a true freshman. Even the dismissal of star Running Back Tyreek Hill following reports of domestic violence didn’t seem to cause a stutter on the offensive side. 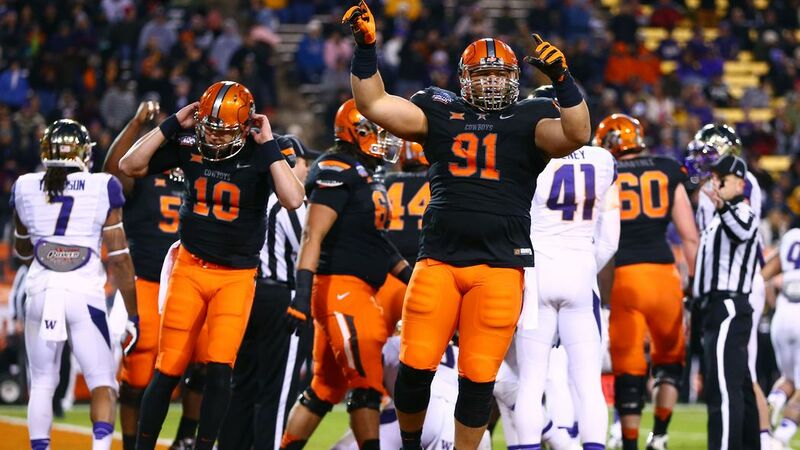 If the Cowboys are able to replace the likes of Ryan Simmons on defense, watch out for next year’s veteran Pokes. Honestly, the highlight of Texas Tech’s season was the upset bid they had against No. 7 Baylor right up until the end. After Baylor QB Bryce Petty left with an injury, Patrick Mahomes led the Red Raiders all the way back and they made it an interesting finish in Arlington. With many on the Red Raider roster returning next year and many more returning from injuries, Texas Tech may be able to return to bowl eligibility next season. The tough part that could prevent that are trips to Oklahoma, Texas, Arkansas and the newly nicknamed “BU-TT Bowl” in Arlington against Baylor. Texas Tech is that one team that I just don’t know about for the 2015 season. Kansas had a typical season in Lawrence. It’s hard for the Jayhawks to compete when they don’t have the tradition of the schools they compete against for recruits like Kansas State, Oklahoma and Missouri. I honestly don’t know that firing Charlie Weis was the answer, but that is the direction that KU went and it gives David Beaty the chance to do something with a historically lacking program after serving as the Wide Receivers coach and Recruiting Coordinator at Texas A&M. The latter should make more of an impact than his position, but he still has to compete with those same schools next year. At least the Jayhawks won a conference game this year. Progress? Iowa State has declined recently. The Cyclones just can’t draw the recruits to be competitive and it’s showing on the field. I firmly believe that Paul Rhodes could be one of the best coaches in the nation if he were able to get recruits to go to Ames, Iowa, and play for ISU. However, in competing for recruits against the rest of the Big 12, Iowa, Missouri and Ohio State as well as other schools in the Big Ten such as Nebraska, that proves to be nearly impossible. With the recruits other schools in the Big 12 are bringing in and the ones that Rhodes is able to get to Ames, that doesn’t seem to stop soon. Hopefully the Cyclones can manage to win a few conference games, which would likely make it easier. In comparison to ESPN’s Big 12 bloggers during the 2014 season, I like to think I had a fairly successful season pick-wise. My 2014 record was 62-11 in Big 12 games (View a game-by-game breakdown here, Kurt’s Korner Football). ESPN’s Jake Trotter and Brandon Chatmon both went 61-12 while Max Olson went 58-15 on the year. 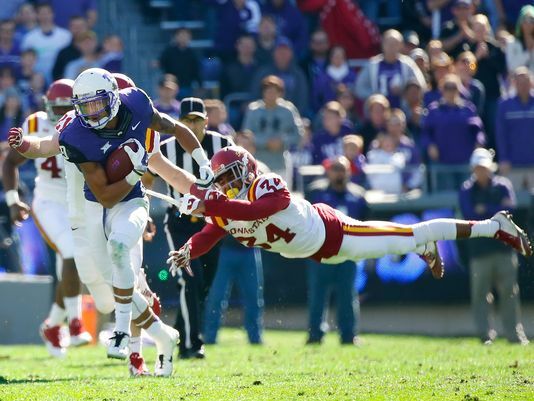 1) TCU – The Horned Frogs return 16-of-22 starters from 2014, including 10 on offense. 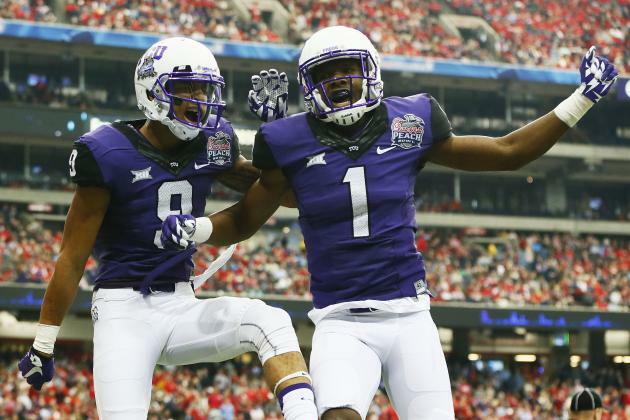 With Boykin back under center for 2015 the TCU offense should be able to be just as potent. 2) Oklahoma State – The Cowboys found their rhythm with Mason Rudolph at QB. Look for Rudolph to start over a healthy JW Walsh next year. 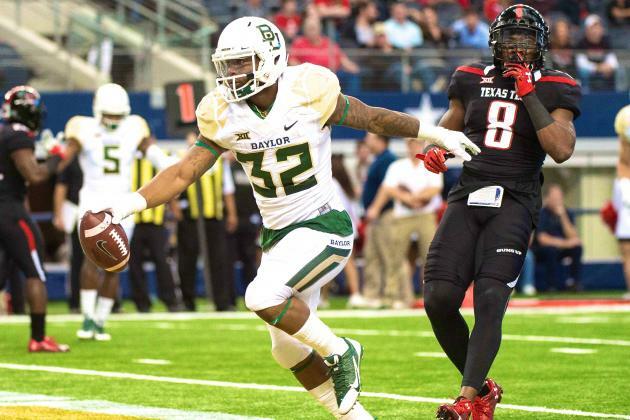 3) Baylor – Lately, Baylor has been able to compete every year. With Oakman and some other key pieces coming back, this should be able to continue. 4) Oklahoma – With the air raid attack back in Norman, Trevor Knight and the Sooner offense should be fine. 5) Texas – In the second year under Charlie Strong and with Tyrone Swoopes at QB, the Longhorns should be a little more consistent than they were this year. However, it will take another season or two to get back to the storied Texas program. 6) Kansas State – The Wildcats lose a few key pieces but return Glenn Gronkowski at Tight End. 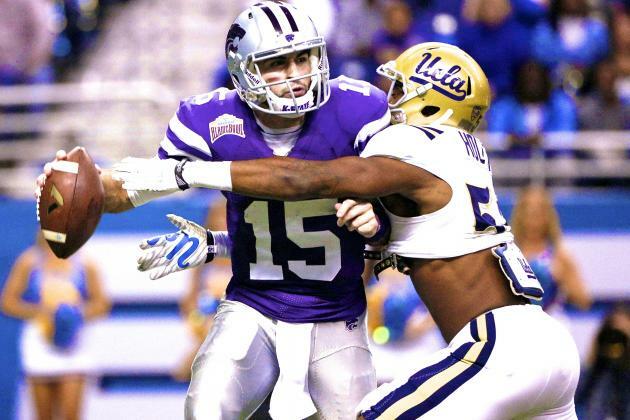 Under Bill Snyder, it seems that the Wildcats are never going to be bad. 7) West Virginia – The Mountaineers may start clicking toward the end of the year unless Skylar Howard really develops during the offseason. 8) Texas Tech – The Red Raiders won’t likely have too many problems offensively, but rather on defense. If Texas Tech could get some consistency at defensive coordinator, maybe they could compete for a Big 12 title. 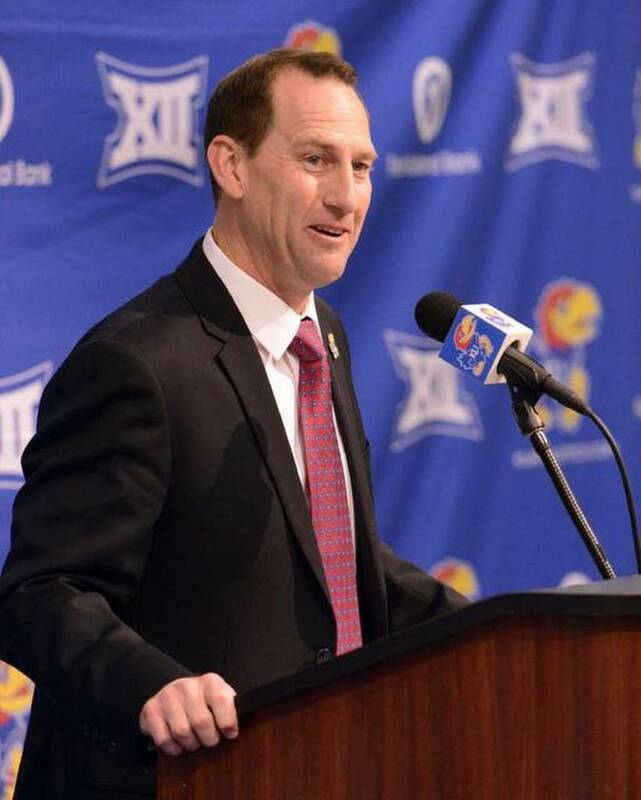 9) Kansas – It’s just hard for me to think that David Beaty can really make a significant difference without experience as a major coordinator. 10) Iowa State – The Cyclones still lack the solid recruits that they need to compete with not just the Big 12, but much of the Power 5.